UIC's vibrant campus in the heart of Chicago is the perfect environment for success! By living on campus, or near by, you can enjoy all of the features that allow students to reach their full potential. 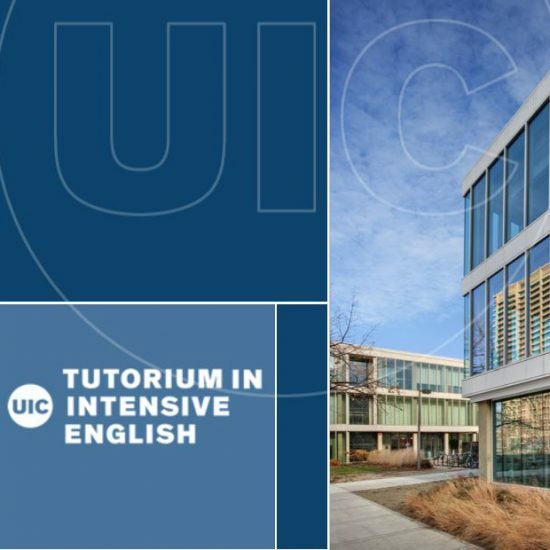 Enjoy UIC state of the art facilities, participate in campus events and explore Chicago while perfecting your English skills. Tutorium students have access to select amenities on campus. Other features come with a small fee for access. Learn about some of the things you can take advantage of as a Tutorium student! At the UIC Richard J. Daley Library you can find material on language studies, the arts, humanities, sciences, social sciences, and engineering. The library also holds rare books and archives on the history of Chicago. The Campus Recreation facility provides a variety of recreational programs and facilities to exercise your mind, body and spirit. The Credit Union 1 Arena is a 9,500-seat multi-purpose arena on the campus of UIC. Students visit this arena for UIC sports games, concerts and other major campus events.